There is a lot of talk these days about the enzyme phytase, phytic acid and how we can neutralize these anti-nutrients from certain foods such as legumes and cereal grains. The process of eliminating these anti-nutrients, seems to have been popularized much due to the Weston A Price Foundation and Sally Fallon’s book Nourishing Traditions among other sources. But one must be objective and look at many sources in order to investigate a claim. My aim was to find out the extent to which phytic acid and phytase has been researched, how it affects the food we eat and our digestion/absorption of certain nutrients and if anything, what we can do about those phytochemicals, if there is need to reduce them and if so how. I’ve tried to be objective as I can and look at all sides of phytate, not just its suspected inhibiting effect. Please have a read and let me know what you think. If you have any comments, questions or just what to say what you think, please let me know in the comments section. Please note this is not a definitive post and new research will be added when I find it (and when I have more time to update it). 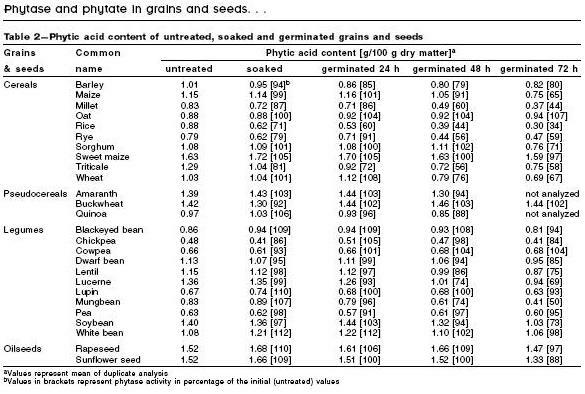 Actions associated with Phytic Acid/Phytate. Are there ways to neutralise or degrade Phytic Acid/Phytate? What we can learn from these studies. What is Phytic Acid/Phytate and Phytase? Phytic acid or Phytate is the storage form of Phosphorous in all grains and oil seeds (Jacela et al., 2010). Phytate is most known as a substance known to decrease mineral absorption however it has also been looked at as a possible beneficial vitamin-like substance (Okazaki & Katayama, 2005). The NHRMC even mention Phytic acid in Phosphorous fact sheet. They say that Phosphorous is bioavailable expect in beans, peas, cereals, nuts where it is in the storage form of Phytic acid (NHRMC), which we are unable to hydrolyze. Phytase is the enzyme that degrades (catalyzes/breaks down) Phytate in order to release it’s phosphorous (Jacela et al., 2010). Phytase was originally proposed as a food additive to reduce phytate content by releasing orthophosphate (Konietzny et al., 2002). In the NHMRC Guidelines for Australian and New Zealand adults, they recommend to eat plenty of cereals (including breads, rice, pasta and noodles), preferably wholegrain as they are “good sources of B-group vitamins, vitamin E and many minerals, notably iron, zinc, magnesium and phosphorus”. They encourage eating enough cereal foods as they “help ensure an adequate nutritional intake”. However, they mention in p.82 of the guidelines, that calcium absorption may be poorer in foods containing phytic acid (seeds, nuts, grains, raw beans and soy isolates) and in their phosphorous fact sheet, they say that Phosphorous is bioavailable expect in beans, peas, cereals, nuts where it is in the storage form of Phytic acid, which we are unable to hydrolyze (NHRMC). The NHMRC Guidelines also state that on p.39 consumption of breakfast cereals is recommended for iron, calcium, magnesium, folate content, yet as mentioned below cereals contain phytic acid which chelates iron, calcium and magnesium . Phytic acid (myo-inositol hexaphosphoric acid, IP6) (Okazaki & Katayama, 2005), is the storage form of Phosphorus in legumes, lentils and cereal grains.Â It’s molecular weight (MW) is MW: 660.03 and it’s chemical formula is C6H18O24P6 (Phytochemicals.info). Highest in unrefined (whole) cereals and legumes (~ 600 mg/100 g dry weight) (Gibson et al, 2010). 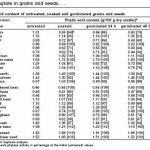 Refined cereals (approximately 100 mg/100 g dry weight) (Gibson et al, 2010). Starchy roots and tubers (< 20 mg/100 g dry weight) (Gibson et al, 2010). Maize (Thatcher et al, 2009). A study by Oomah et al (2008) who looked at the Canadian Dry bean (Phaseolus vulgaris L.) and investigated it’s phytase activity and antioxidant properties. It’s phytic acid content and activity of it’s phytases has been noted to vary between market classes and can range from 16.7g-25.1g/kg and from 224 to 361 phytase activity unit/kg of sample, respectively. The bean cultivars examined showed quite a variation in antioxidant capacity [1.6?11.2 ?M Trolox equiv* (TE)/g of dry matter] and peroxyl radical scavenging activity (72?158 ?M TE/g). Basically they found that is a large variation between the Canadian Dry bean’s phytase and antioxidant activity, mineral contents and bio-availability among market class. In a group of 14 patients with breast cancer who were given IP6, Bacic et al (2010) found that it helped to decrease side effects and improve the quality of life of patients who were being treated with chemotherapy. It has been shown that IP6 is taken up by malignant cells and that IP6 administered orally, can reach target tumour cells away from the GIT and had acted as a broad-spectrum antineoplastic agent, however the mechanisms are not yet well understood (Vucenik & Shamsuddin, 2003). It decreases the bioavailability and chelates (binds) certain nutrients such as iron, calcium and zinc (Frontela et al, 2009). It is able to do this because of its reactive phosphate groups attached to the inositol ring (Okazaki & Katayama, 2005). For those who are concerned about consuming Phytic Acid/Phytate there seems to be some ways that have been tested to neutralise or degrade it. The following are summaries of studies that focus on reducing Phytate in various foods. There does seem to be some evidence to support the notion that probiotic lactobacill is a beneficial source of the enzyme phytase. It isÂ said to help breakdown phosphate and hydrolyse (split with hydrogen) complexes formed by phytate and metal ions or other cations, which makes them more souluble are more readily available for absorption in the intestine. Consuming probiotics containing lactobacill may help to improve the bioavailability of trace minerals and protein in the diet (Famularoa et al 2005). Reale et al., (2004) looked at the effect of Lactobacillus plantarum, Lactobacillus brevis, Lactobacillus curvatus, and Saccharomyces cerevisiae strains on its ability to hydrolyze IP6 (it’s phytase activity) of Italian sourdough technique, and they conclude that sourdough technology using lactic acid bacteria is now suggested to (reduce phytic acid content). In a further study Reale (2007) found that phytate degradation during cereal dough fermentation was positively correlated with endogenous plant phytase activity and also that when heat was applied to the endogenous cereal phytastes after lactic acid fermentation it resulted in the inactivity of phytase (meaning phytate degradation discontinued). The optimum phytate degradation was shown to be around pH 5.5. However they concluded that lactic acid bacteria do not directly participate in phytate degradation but help to bring about a condition in which phytate degradation can be activated by lowering the pH value. In an in vitro study, Leenhardt et al (2005) found that by acidifying phytic-acid-rich whole wheat dough via sourdough fermentation or by adding lactic acid to the dough, it showed a large phytate breakdown (around 70% compared to 40% control). They concluded that a slight drop in pH (meaning higher acid) is sufficient to reduce phytate content of wholemeal flour and magnesium bioavailability was improved. According to a study by Chaoui et al (2003), who looked at phytase activity in natural sourdough starters, the traditional starters showed a decrease of phytic acid and wide variation in phytase activity. The fermented microorganisms (the yeasts and lactic acid bacteria) in the starter cultures were made of lactic acid bacteria and yeast isolates, particularly Saccharomyces cerevisiae combined with Lactobacillus plantarum and Leuconostoc mesenteroides, which were of the most interest to the scientists after the study (Chaoui et al 2003). In a study by Lopez et al. (2000) where five strains of lactic acid bacteria were isolated from sourdough, they were examined to see their ability to degrade phytic acid. The bacteria were placed in both a white flour and whole wheat medium. In the white flour medium, in which phytic sources was the only source of phosphorus, phytate disappeared after only two hours of incubation and an increase of inorganic phosphate wasw observed. This indicates phytate breakdown, according to the study. In the whole wheat medium where the lactic acid bacterial strain, Leuconostoc mesenteroides strain 38 was placed for 9 hours to ferment.Â Due to the production of lactic acid an increase calcium and magnesium solubility were noted compared to the control medium. Sanz-Penella et al. 2009, observed that breads with fermented Bifidobacterium bacterial strains had lower levels of IP6 and lesser amounts of IP3. They suggested bifidobacterium as a safe means to reduce phytic acid content in rich fibre products intended for human consumption, because of the bacterias phytate-degrading enzyme production. According to Davidsson (2003) the biovailability of non-heme-iron is reduced due to presence of phytic acid. However, if ascorbic acid is consumed in large enough quantities within the same meal containing cereals and legumes (phtytic-acid containing foods) it can increase the chances of the non-heme iron being absorbed. Thatcher et al. (2009) studied the effect of dephytinization of maize porridge by traditional methods in order to determine the energy, phosphorus, and calcium intakes and the influence of rickets. They determined this by 24 hour- dietary recalls. They dephytinized the maize porridge by two methods: enzymatically and by fermentation. The unfermented maize porridge was prepared by the following traditional method: Dry milled flour was added to water (~100g flour/L water). Boiled water was then added to the cold paste to make porridge. This porridge was mixed with wheat phytase 0.2g/ 150g porridge and cooked for 15 minutes at 15Â°C. The fermented porridge was made by this process: Maize grain was soaked over 2 nights, rinsed and then we milled. The slurry was wet sieved with muslin cloth to discard the bran. The slurry (minus the bran) was then left to ferment for 24 hours and then excess was drained. It was then boiled with water to make the porridge. Participants we assigned at the start of the experiment to receive either the fermented or unfermented porridge. The phytate concentration of the maize porridge that was treated with phytase was reduced, however not by fermentation. There was no observed interaction between phytase and fermentation, which suggests that enzymatic dephytinization had a similar effect on phytate concentration irrespective of porridge fermentation. Calcium absorption was greater from a traditional Nigerian maize meal (61.3 Â± 25.1%) than that measured in fasting participants (27.8 Â± 14.6%; P < 0.001). There was no interaction between the effect of the meal and the presence of rickets (P = 0.40) or fermentation of the porridge (P = 0.45). Calcium absorption with fermented porridge (50.7 Â± 19.1%) did not differ from unfermented porridge (50.1 Â± 17.3%; P = 0.94). Calcium absorption was paradoxically lower from the phytase-treated porridge (44.5 Â± 17.3%) than without phytase (50.4 Â± 17.8%; P = 0.05). In the first study, zinc absorption was significantly lower with a meal (16.2 Â± 8.0%) than without a meal (63.4 Â± 23.9%; P < 0.001). Zinc absorption was similar in children with (40.5 Â± 29.6%) and without (38.7 Â± 30.2%) rickets (P = 0.65) and rickets did not interact with the effect of the meal on zinc absorption (P = 0.83). Fermentation of the porridge did not affect zinc absorption (37.3 Â± 28.3% vs. 41.9 Â± 31.0%; P = 0.52) and did not modify the effect of the meal on zinc absorption (P = 0.83 and P = 0.88, respectively). Enzymatic dephytinization increased zinc absorption during the second absorption study (55.5 Â± 18.0% vs. 32.2 Â± 14.8%; P < 0.001). Dephytinization resulted in a mean relative increase in zinc absorption of 101 Â± 88%. The presence or absence of rickets (46.2 Â± 21.8% vs. 40.0 Â± 17.2%; P = 0.25) and fermentation of the porridge (45.8 Â± 20.3% vs. 46.2 Â± 20.3%; P = 0.47) did not affect zinc absorption, nor did these factors modify the effect of phytase on zinc absorption (P = 0.94 and P = 0.11 for rickets and fermentation, respectively). In a study by Egli et al (2002) grains or seeds were germinated for 24 h, 48 h, and 72 h, using a household germination system (Biosnacky etc.). They were rinsed daily at the same time each day, then freeze dried and milled. They found that the phytase activity for soaked grains and pseudo-cereals decreased and even more so for lentils, which could be possibly explained due to leaching. However the results of germination was another story; they found that the activity of phytase decreased in germinated cereals and pseudo-cereals. Phytase activity increased in germinated samples of maize, millet, sorghum and sweet maize. In terms of legumes, lentils showed the highest phytase activity after germination followed by mungbean and pean. Phytase activity increase between 150-250% in the other legumes. They concluded that flour of whole grain rye, wheat, triticale, buckwheat and barley are good sources of phytase, which could be used to breakdown phytic acid in cereal based complementary food. The following sources of phytase activity (cereals, pseudocereals, legumes and oilseeds) were low and soaking and germination had little effect on increasing phytase activity. In a study by Frontela et al (2009), they looked at in vitro (outside the body) activity of pepsin, pancreatin and bile salts on infant breakfast cereals to determine the amount of dephytinization that would occur in vivo (inside the body). They found that treating these cereals with exogenous phytase (dephytinization) increased the bioavailabilty of iron and zinc, however dephytinization of calcium has no effect increasing bioavailability. Although Gibson et al (2010) do note that dephytinization in the household or commerically can potentially increase mineral absorption in high-phytate containing foods, it may not be enough to overcome the shortfalls of iron, zinc and calcium content in plant-based complementary foods. They conclude that to in order to overcome the mineral deficiencies of calcium, iron and zinc due to phytate dephytinization must be combined with enrichment or fortification of minerals from animal sources. Consuming probiotics, especially those that contain lactobacill may have a positive role in producing phytase and increasing mineral absorption. Including vitamin C rich foods in the diet, may help to better absorb iron especially when eating phytic acid rich foods. Sprouting/germinate lentils and legumes may help to increase activity of phytase and so decrease phytate. Adding flour of whole grain rye, wheat, triticale, buckwheat and barley to other grains to be soaked that have less phytase, could potentially positively influence their phytic acid breakdown. Phytic acid may have many roles in health and disease which may not all be currently and fully defined. To counteract the effect ofÂ phytic acid’s inhibition of minerals it would be wise to include other sources of iron, zinc, maganese and calcium in the diet as well preparing those phytic-acid containing foods in a way that increases phytase activity in order to degrade phytic acid and increase nutrient availability. Photo credit: Phytate chemical structure picture is property of phytochemicals.info. *Trolox equiv is a measure of antioxidant activity. Please note: I will be updating this post as more information becomes available about Phytic acid (and when I have more time to update it)- So please check back soon. To tell whether what information is updated, I will change or add a different viewed date to the reference list, so check there so see what is updated. Disclaimer: Please note I am not intending to treat or diagnose any kind of medical or nutritional illness, rather I aim to provide interesting information in this post. You are officially my idol – including chemistry + facts/figures in a post and STILL holding my attention, ha! I’ve always been really interested in this topic and actually stopped eating oats for breakfast due to confusion about phytic acid & it’s effect on nutrient absorption (I was especially worried being mostly vegan). This is such a great, balanced discussion about a naturally occurring substance that cannot simply be ‘demonised’ (such as LDL cholesterol) – we need to remember that these things play a vital (and still somewhat misunderstood) role in bodily functions & it’s great to be aware of their interactions. This must have taken you AGES with so much research & referencing – thank you for sharing the nutritional love! Haha yay thanks Katey! I’m so glad you liked it and it wasn’t too dry then! Yeah for a long time I really wondered about Phytic acid, especially because so far I haven’t once heard about it at school so I thought what’s the big deal? But there is a lot of information out there so I wanted to let everyone know what I found out! 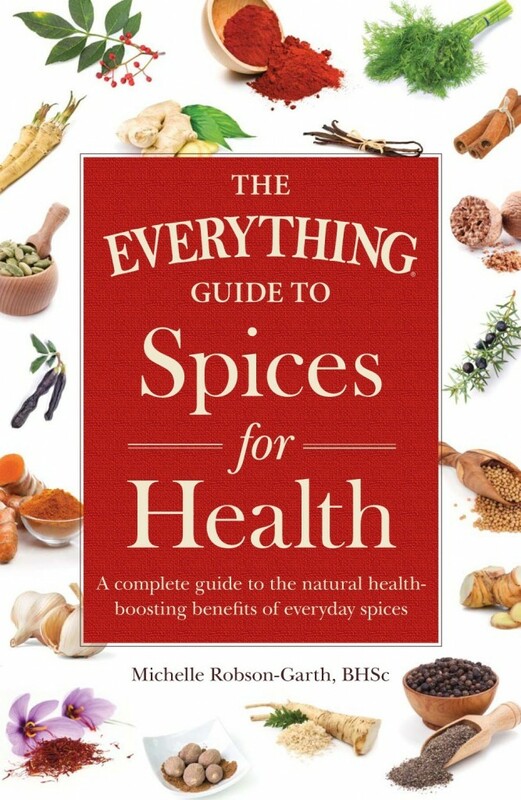 I’m so happy you find it balanced- I really wanted to find out the whole story about the notorious phytic acid! It definitely is a confusing topic especially because of the all the misinformation our there. It take did heaps of hours ha, but it was really interesting and fun learning it all. Keep checking back here as I’ll be updating it a lot. WHat about the benefits of soaking and dehydrating seeds, nuts. does this really work in neutralizing phytase? it sure tastes good and clean! Thanks for your great question! I’ve mostly looked at grains and pseudo-grains so far. But I’ll have a look further into that. I found your post so interesting! 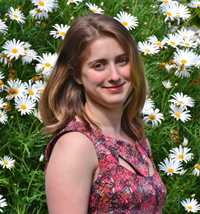 It’s really well researched and very balanced and has made me want to find out more! Thank you for all your detailed research!! The lower pH increasing degradation of phytic acid sounds like the science behind the traditional method of adding some whey or unpasteurised apple cider vinegar (pH of 5-7) to soaking water when soaking grains / legumes etc. Wow! This was really interesting! I find the idea of soaking grains, using Sourdough and etc, interesting. I eat the “Whole Foods Way” and am wanting to do more of it. Phytic acid is often made out to be the “bad guy” but I am not convinced. I am thinking all things in moderation and balance. Now I was raised following the Levitical Dietary Law. I find it interesting to note that there were times where God ordered the people to cook in their usual manner of allowing bread to rise (early yeast and sourdough methods, if you will). Then during certain times of the calandar they were to cleanse their homes of these items and only use grains that were not soaked/fermented/risen/leavened. These times are considered to be a “time of cleansing” of mind, body and soul. To me, that says that I don’t need to soak/ferment EVERYTHING everyday, but that I do need to make an effort to do this, at least periodically. I always thought that each phase might be beneficial to the body. There is a great tendency these days to get away from the old paths! Fascinating post. Thank you for informing me more about phytate etc. It is something I want to look more into. What are your thoughts on this article (about phytate)? Thanks Leith. I’ll have a look into that thanks. Any idea why it appears as though oats have an INCREASE in phytic acid content even after 72 hours according to the Specific Phytic Acid Content & Phytase Activity values chart? Hi Kelly. That is a great question. To be honest I’m not sure why that would happen. However as soon as I saw your comment I sent an email to the authors of the study so I shall let you know what they tell me! Okay…I’ve sent the author of the study 3 emails and all got sent back to me… Maybe their email is a bit old (That study was from 2002/2003)…I’m going to keep searching and hopefully I can contact one of the authors and get to the bottom of it! Oh gosh, thank you for this great post but this has left me more confused than ever! I am trying to find out if it would be beneficial to soak buckwheat flour before cooking with it. Do you know? Thanks! Hi Alix. I’m sorry it made you more confused! I would sum up the post by saying that yes it’s definitely beneficial to soak grains and pseudo grains, especially buckwheat groats and buckwheat flour! Thank you for a terrific summary of the literature about phytate in grains and legumes. I have been reviewing hits on this subject for the past few days and was becoming very frustrated with the biases in the laymen’s articles and confused with the scientific ones! My research started because I was diagnosed with osteopenia, then osteoporosis even with calcium citrate supplements, magnesium, and a multivitamin as well as consuming an omnivorous diet with green leafy vegetables, whole grains, legumes, and at least 25 grams fiber/day. I did not tolerate the common prescription medications to improve bone density. For the past week, I have been “experimenting ” when I ingest each supplement as well as the corresponding meal items to maximize calcium, zinc, and iron absorption. It can be a challenge, but I have noticed physical changes already which I am fairly sure is indicating that my system is absorbing calcium differently. I just won’t know if it will translate to better bone density for quite a while!! Thank you again for a very valuable assessment and summary of the current literature! Useful commentary . I Appreciate the facts – Does someone know where my assistant could possibly get access to a template 2013 IRS W-2 document to fill out ? Comparison of dairy milk alternatives.